The annual release of the Grand Prix assignments by the ISU traditionally signals the start of the new skating campaign. It came last Friday, so the Olympic season has officially begun. 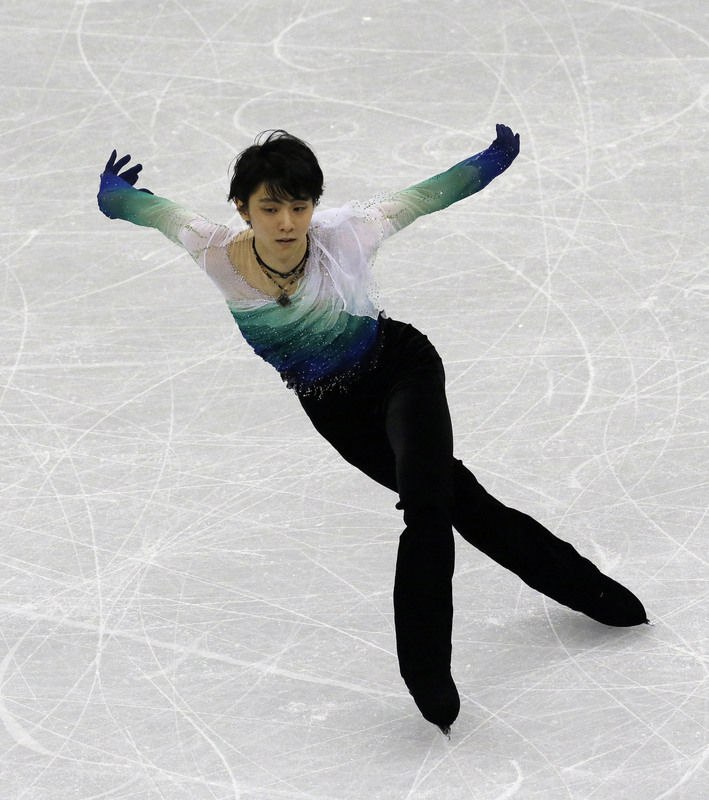 With Yuzuru Hanyu being both the defending Olympic and world champion, Shoma Uno having finished a close second behind Hanyu at last season’s worlds, and the likes of junior star Marin Honda joining the senior ranks, the sense of anticipation for the Olympic year is already palpable in Japan. The skaters have been traveling wide and far in the past few weeks to work on their new programs. Mie Hamada took her crew of Honda, Yuna Shiraiwa and Rika Kihira to the Colorado earlier in May to participate in the U.S. Figure Skating Association’s two-day jump camp, where the focus was on helping skaters improve their technical elements scores. Prior to going to Colorado, Honda was in Toronto to work with David Wilson on choreography for her new programs this season. Meanwhile, Mai Mihara and Kaori Sakamoto were in Southern California to get choreography from Benoit Richaud for the coming campaign. 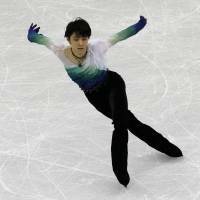 It has also been revealed that Hanyu is planning to reprise the music from his Chopin Ballade No. 1 short program from the 2014-15 and 2015-16 seasons for the Olympic year. So with the skaters already hard at work with practice and shows, let’s take a look at the GP events and assignments for the 2017-18 season. The order of the events has been changed this season from what it normally is, so the Cup of Russia (Oct. 20-22) in Moscow will be the first competition. Skate Canada (Oct. 27-29) in Regina, Saskatchewan, is next, with the Cup of China (Nov. 3-5) in Beijing to follow. The NHK Trophy (Nov. 10-12) will be held in Osaka, with the Internationaux de France (Nov. 17-19) slated for Grenoble, the site of the 1968 Olympics up next. Skate America (Nov. 24-26) in Lake Placid, New York, which played host to the 1932 and 1980 Olympics, will be the location for the last of the regular GP events. The Grand Prix Final (Dec. 7-10), combining the seniors and juniors, is set for Nagoya in what will be the last major international competition before the Pyeongchang Olympics in February. Hanyu will start his season at the Cup of Russia, where he will compete with compatriot Keiji Tanaka against U.S. champion Nathan Chen. Hanyu will then have a couple of weeks off before coming home for the NHK Trophy. Hanyu and teammate Daisuke Murakami will face three-time world champion Patrick Chan and American Jason Brown in the Osaka field. Uno is slotted in for Skate Canada with Takahito Mura in a roster that includes South Korean champion Cha Jun-hwan and Chan. Uno will return to the ice at the Internationaux de France where two-time world champion Javier Fernandez and Olympic bronze medalist Denis Ten are also in the lineup. Tanaka will be Japan’s lone male representative at the Cup of China and face a big challenge going against the likes of world bronze medalist Jin Boyang and Fernandez. Mura will carry the hopes of the Hinomaru at Skate America, where Jin, Cha and Chen will provide stiff competition. The women’s Grand Prix field is loaded with talent that will be bolstered by the addition of three exciting newcomers in Honda, Sakamoto and Shiraiwa, who all starred on the junior circuit in the past few seasons. Mihara, who finished fifth at the worlds last season in her senior debut, will start her GP season at the Cup of China where she will be joined by Honda and Wakaba Higuchi. World junior champion Alina Zagitova, world bronze medalist Gabrielle Daleman and two-time American champion Gracie Gold will also be in Beijing. Mihara will then return to competition at the Internationaux de France, along with Shiraiwa, against Zagitova and Gold. Higuchi and Sakamoto are confirmed for the Cup of Russia, where two-time defending world champion Evgenia Medvedeva, Olympic bronze medalist Carolina Kostner and American Mirai Nagasu will await. Honda’s first assignment as a senior will be at Skate Canada, where Rika Hongo will also compete against world silver medalist Kaetlyn Osmond, U.S. champion Karen Chen and Ashley Wagner. Three-time defending national champion Satoko Miyahara has drawn the NHK Trophy first, where she will take on Shiraiwa, Hongo, Medvedeva and Nagasu. Miyahara and Sakamoto will travel to Skate America where Daleman, Chen and Wagner are all entered. It is worth noting that neither Russia’s Adelina Sotnikova, the Sochi gold medalist, or Julia Lipnitskaia are scheduled to take part in the GP series. The pairs team of Sumire Suto and Francis Boudreau-Audet will pull on the boots at the Cup of Russia and the NHK Trophy, while ice dancers Kana Muramoto and Chris Reed will compete at the NHK Trophy and Skate America. There are some definite peculiarities in the assignment schedule as Ice Time sees it. First, considering Honda’s popularity and accomplishments, I am very surprised she won’t be skating at the NHK Trophy. The world junior champion two seasons ago and runner-up last season, Honda has a megawatt smile and a huge following. I thought it would be almost automatic that she would be in Osaka. Second, Honda has drawn consecutive assignments, meaning in the second week of the season she will take part in Skate Canada, then have to travel all the way to Beijing for the Cup of China. That is a tough trip for anybody. Shiraiwa also drew back-to-back assignments, but with the much easier task of skating at home in the NHK Trophy before heading to Grenoble for the Internationaux de France. It is great to see Shiraiwa stepping up to the senior ranks. One of Ice Time’s favorites, Shiraiwa is often overlooked for her more famous stablemates Honda and Kihira. Sakamoto will compete in the Cup of Russia and Skate America, the first and last events of the season, which means a long break in between. Sakamoto displayed her significant skills and determination last season, so she will surely find a way to deal with the gap she will face. Japan will have three entrants (Higuchi, Honda, Mihara) at the Cup of China, which is a rarity. Generally nations only receive three spots for the events that they host. Though Russia will also send three skaters (Medvedeva, Polina Tsurskaya and Alena Leonova) to the NHK Trophy. Japan’s talented field of juniors, which includes Kihira (who was fourth at last season’s JGP Final), Mako Yamashita (who finished third in her two JGP events last season) and novice star Moa Iwano (who is planning a quad salchow for her free skate this season), will learn their assignments in late June. The 2017-18 campaign will be comprised of seven events. The season will kick off in Brisbane, Australia (Aug. 23-26), then move on to Salzburg, Austria (Aug. 31 — Sept. 2), Riga, Latvia (Sept. 6-9), Minsk, Belarus (Sept. 20-24), Zagreb, Croatia (Sept. 27-30), Gdansk, Poland (Oct. 4-7) and Egna/Bolzano, Italy (Oct. 11-14). With YouTube set to stream all the JGP events again this season, skating fans will have a lot to look forward to. The website thefinersports.com recently ran a list of 14 top women’s performances from last season with video links to almost all of them. The only two juniors to make the list were both Japanese (Kihira and Sakamoto). Included were the efforts of Kihira (Slovenia JGP free skate — where she landed a triple axel), Mihara (Four Continents free skate), Miyahara (GP Final free skate) and Sakamoto (Japan Junior Championships free skate).